How do you compare across Europe? 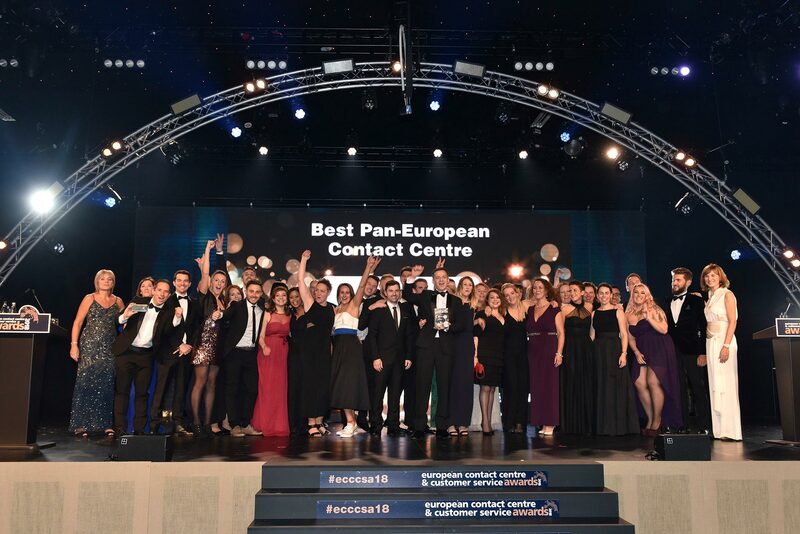 “The European Contact Centre Decision-Makers’ Guide (2018)” is a major report studying the quantified performance and HR aspects of 168 mainland European and Irish contact centre operations, comparing them to similar US and UK operations. The report includes attrition and absence rates, salaries, operational performance benchmarks, technology usage and growth plans, and is available free of charge from www.contactbabel.com. 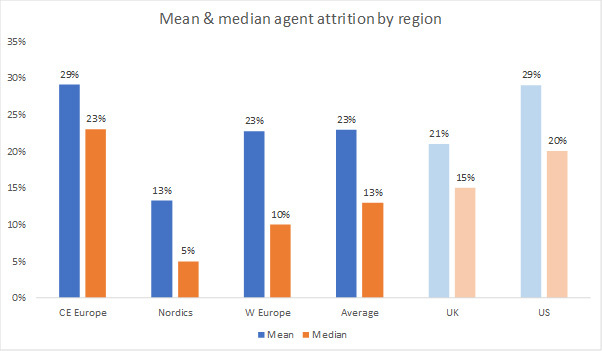 Agent attrition rates in Central & Eastern Europe are considerably higher than elsewhere in Europe, including the UK, although they are relatively similar to the US. The Nordics in particular reports very low attrition rates, with a median of only 5%. Agent salaries in Central & Eastern Europe are considerably lower than elsewhere in Europe or the US, being around one-quarter that of the Nordics. This differential is smaller at the managerial level. Unlike elsewhere, CEE outsourcers tend to pay higher salaries than inhouse operations, at least at agent levels. The success or otherwise of contact centres has traditionally been measured by observation of key metrics, usually related to cost and efficiency – average call length, average speed to answer, % of calls answered within a certain time, etc. While these figures are a useful and still widely acknowledged and understood benchmark, times are changing. Many contact centres now try to measure the effectiveness of their operation by tracking metrics such as first-time call resolution and customer satisfaction levels, although there are no standard measures or agreements on what constitutes a satisfied customer or fully-resolved call. Western European and CE European respondents state that their use of email is very considerable, at 27% and 20% respectively, with lower proportions of phone activity than in the UK, US and Nordics. As this is the first year of studying mainland and Irish European contact centres, judgement should be reserved until further years’ surveys corroborate this. The results show a major use of digital channels in CEE, with the Nordics also using above average social media customer service and also web chat. 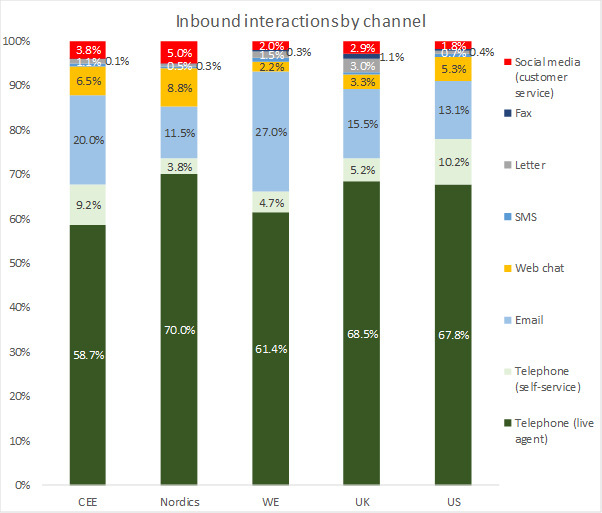 Western Europe, apart from email, has much lower use of digital channels such as web chat or social. Levels of voice self-service are lower than the US. It should be noted that this survey does not take into account any use of web self-service. You may download the full 104-page “2018 European Contact Centre Decision-Makers’ Guide” for free, from www.contactbabel.com.